When looking at the M&A market for creative and technology businesses in Asia, it’s very clear what acquirers want. While big data, automation, digital transformation technology and research businesses are all popular, (unsurprisingly) digital tops every acquirer’s list. The challenge is that while there are many digital businesses for sale, they’re almost all smaller than acquirers would like. This reflects a key difference between Western markets and Asia in this sector—talent churn. While Asia has plenty of talent, it also has extraordinarily high churn, with the best talent setting up on their own. Indeed, our latest research found that although agencies in Greater China are more determined than those in other regions to attract new senior talent (64% have a talent strategy in place compared to 44% of global peers), confidence in ability to recruit the talent required was felt by less than half of respondents in Greater China (47%). This talent churn and entrepreneurialism has created a plethora of small boutique businesses that are struggling to grow beyond 25 employees, a small number of very large players operating from international hubs, and very few independents of any scale with a true regional presence. The result is that acquirers are looking beyond mere profitability in Asian businesses (read our Buyer/Seller Disconnect report for more detail on what acquirers typically prioritise globally). Instead, they prioritise headcount and staff retention in Asia —especially in second-tier management. We’re frequently asked about incentives to retain staff after acquisition, and we often help structure programmes in anticipation of this being a key factor. But the problem remains that most of the digital companies for sale are small and need to scale up in advance of sale to make themselves more attractive. This has driven the popularity of roll-ups in Asia, rolling together multiple small companies into an attractively sized agency or network. 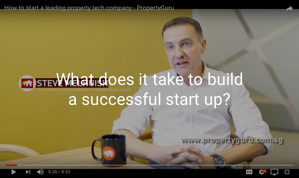 This can be a complex process, and we find the best approach is to build a core company around a few fair-sized businesses and then bolt on smaller businesses with a compelling offer. Indeed, we’re seeing sellers actively working to ensure that their businesses are as market-ready as possible. A few years ago, European companies were snapping up anything and everything in Asia, paying handsome multiples and sometimes getting burned. We’ve since seen caution and more extensive due-diligence return to the process, including demands for sellers to present solid evidence of their financial performance, which reveals a further disconnect over valuations. 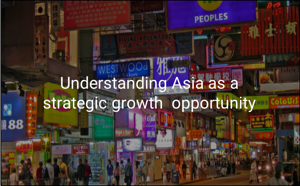 While many businesses in Asia are growing substantially, sometimes 100 per cent year on year, their predictions of similarly high levels of growth after acquisition are (rightly) dismissed as unrealistic. The problem is that agencies don’t always understand that becoming part of a larger, international business, due to different systems and processes, will affect their short-term profitability. For example, they may have to pay higher taxes on staff wages but it is about a mind-set shift from short-term profits to sustainable long-term profitability. This illustrates another challenge in that acquirers want to find a company that fits their brand culturally. 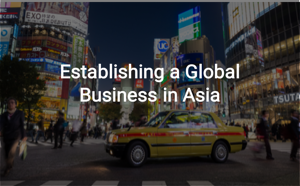 International acquirers are often looking for businesses operating in Asia that can give them access to new growth markets, but which will integrate well with their existing, more Western-style businesses. This is both hard to find and probably a bad idea. Asian businesses succeed in Asia because of their unique local culture and practices—not in spite of them. Experience has taught us that the best acquisition model is to let a successful company continue to run its business with the financial and strategic support of the parent company, but minimal day-to-day operational change. This includes keeping the company founders in place and actively involved in strategic-level decision making. So, is there actually an advantage to international acquisition? Absolutely. Every creative wants to work on the big international brands, and smaller, local acquirers simply cannot support agency growth or international pitches in the same way as large agency networks. And as for the acquirers, despite their caution, they’re still extremely keen to tap into the major growth markets in Asia.